Companies in the EU face significantly higher energy prices than their competitors and the situation is getting worse, writes Fernand Felzinger, President of the International Federation of Industrial Energy Consumers (IFIEC) Europe. Felzinger argues that increasing the carbon price would be a disaster for Europe’s energy-intensive industries at a time when it needs to re-industrialise. The EU’s energy policy is based on the three pillars of competitiveness, security of supply and sustainability. Of these, international competitiveness is obviously the one that has been left behind and needs urgently to be restored. The European Commission’s “Industrial Policy Communication Update” of October last year warned that European industry is facing significantly higher energy prices than its global competitors, and that “the difference has increased drastically over the last decade”, for both gas and electricity. This, along with the overall deterioration of the EU economy, has put Europe’s energy-intensive industries in an extremely difficult situation. Since the beginning of the economic crisis in Europe, over 3m industrial jobs have been lost while, in competing areas like the U.S. with shale gas and China with coal, energy is clearly being used as a “production factor”. When looking at the EU’s internal energy market, it’s impossible to ignore the interaction between climate and energy policies as both strongly impact the energy market. The problem is that the assumptions on which these policies were based are no longer valid. This has important consequences when it comes to aligning both policies, and when debating the outlook for new targets. The underlying assumptions of climate and energy policies need therefore to be revised as they are threatened by the drastic change in the fossil fuel price trend. In 2007 and 2008, the future seemed easy to predict: oil had peaked close to $150 a barrel and the only question seemed how long it would take to reach $200. On that basis, Europe’s climate and energy policies were coherent. By decarbonising its economy and developing renewable energy sources that over time would benefit from a declining cost curve, the EU would strengthen its longterm competitiveness, improve its security of supply and favour the emergence of “green industry” leaders. On top of that, the EU’s emissions trading system (ETS) would pave the way for an enlarged Kyoto protocol and a global market-based carbon price. The shale gas and oil revolution in North America has led to a price decrease for both gas and power, with coal following suit. Conventional and unconventional gas reserves are more widespread than had been thought, and are now being re-evaluated at several hundred years of consumption. Gas prices around the world are not expected to increase except in areas where consumers get squeezed by a lack of gas-to-gas competition. The consequence is that it will take longer than had been anticipated to bring the total cost of recent renewable energy source (RES) technologies down to a globally competitive level. And the subsidies granted for 15-20 years will not be wiped off by rising market prices led by fossil fuels. They are a debt to be reimbursed over many years. The intermittent nature of wind and solar power generation means that ensuring power system stability requires significant investments in grid extensions and back-up capacities. The overly rapid scaling-up of immature technologies also adds significant costs to the system. As seen in last year’s Doha conference for climate change, the number of countries committed to reducing their greenhouse gas emissions in a binding manner has decreased, while coal-fired power plants are flourishing in China, where they provide energy-intensive industries with cheap power. By 2015, China will produce more than 50% of the world’s overall aluminium production, with its dedicated coal-based power consumption there greater than that of the whole Italian market. 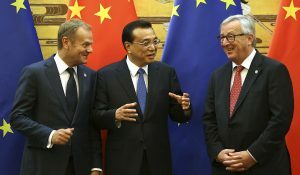 Add to these elements the fact that Europe is grappling with its severe financial crisis and it becomes obvious that decarbonising the EU economy has to be driven in a cost-effective way. What new objectives do we need for an efficient climate policy? The one thing that’s sure is that the EU will meet its 2020 reduction target of greenhouse gas emissions for the sectors covered by the ETS. A low CO2 price for its phase three confirms that a market-based system indeed delivers results at the lowest possible cost. But does that change the global picture? Not on present trends as the EU will by 2030 represent only an estimated 6% of global emissions. The real challenge is therefore to arrive at a global agreement. The aim of a market-based system like the ETS was to develop an efficient global tool that’s other than just as tax; the temptation is often to use taxes for purposes they weren’t designed for. As a tool the ETS is still useful, and linking it with Australia’s comparable system is an initiative which we at the International Federation of Industrial Energy Consumers (IFIEC) welcome. 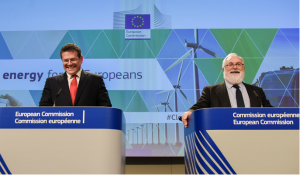 It is a first step towards globalising the scheme, and by comparing the two systems it offers an opportunity to correct the structural flaws of the EU system, namely, the ex-ante allocation of allowances which can incentivise carbon leakage. It is only once we have a global agreement and a global carbon price, that the goal of reducing greenhouse gas emissions will become a reality. But the right price signal for what? If it’s to make gas more attractive than coal for power generation, then we would need a carbon price that’s above 40€/t. And if the EU achieves that, what signal would it give to gas suppliers who refuse to offer competitive prices to Europe? Should we EU’stherefore ban the use of coal or lignite? 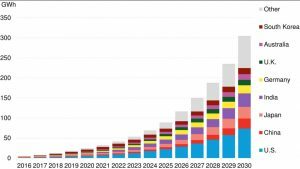 That wouldn’t take into consideration the 2050 roadmap which showed that with carbon capture and storage (CCS) there will be room for all energy sources in the European mix. Keeping gas in the picture doesn’t require an artificially high carbon price as it will always be an important part of Europe’s energy mix, maybe not for baseload power generation but for heating at least. And transport might be another opportunity for the development of gas usage. Or maybe the price signal should be to reduce the level of subsidies that span the difference between feed-in tariffs and market prices, and that are required by some RES investments? But this misses the point. In order to develop a sustainable Europe-based renewables industry, we need truly competitive technologies which, once mature enough, can be exported because they would be a valid alternative to carbon-based power. The real objective of RES development is not to impose a volume target in an abstract framework which might lead to unnecessary costs for the community, but to fix competitiveness targets which will bring us faster to grid parity. Although it may require a greater innovation and R&D effort, this is the sort of challenge which the EU is accustomed to. Artificially increasing the CO2 price would reduce our chances of promoting a global decarbonising tool, would further sap the EU’s competitiveness and would send distorted signals to investors. What is instead needed for both social and environmental purposes is a re-industrialisation of Europe. As shown by a number of studies, the EU may be reducing its direct carbon emissions but is increasing its indirect carbon emissions by consuming goods manufactured in countries with a more carbon-based energy mix. The challenge is to fight more actively against this carbon leakage. The most threatened industries are, of course, the energy intensive ones. This is why it is so important – for both jobs and the environment – to stimulate growth in energy-intensive industries confronted with international competition. After all, basic industries are key contributors to greening the economy. But to invest in Europe, industry needs access to globally competitive energy costs with long-term visibility and a stable regulatory environment. Urgent structural measures are needed to safeguard the competitiveness of EU industry. These include reducing the gas price gap between Europe and the rest of the world because natural gas prices are at present three to four times higher than in North America, leading already to an alarming shift of investment from Europe to the U.S., creating a situation that is unsustainable. For gas intensive industries, the cost differences are tens of millions of euros a year, compared to competitors buying gas in the U.S.
The rapid implementation of the third energy package. Its 2014 target should on no account be postponed, and implementation should take place in all EU member states. There should be a decoupling of natural gas prices from oil prices, with gas prices defined by supply and demand, not by oil. The promotion of investments in infrastructures like LNG terminals and pipelines which would enable further diversification of supply sources, and would increase competition. The encouragement of clean exploration and production of shale gas. Europe, according to the American Energy Information Agency, has almost as much technically recoverable shale gas as the United States. But exploration and development of shale gas are stuck at a very early stage because of political and regulatory uncertainties. 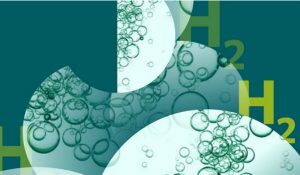 Policymakers need to set an enabling framework that takes into account environmental concerns that can be minimised by using technologies such as “green fracking”. The challenges of extracting shale gas in Europe are different to those in the U.S., but the EU nevertheless has the potential to form a medium-term “strategic bridge” towards long-term greener energy. Another measure to safeguard the competitiveness of EU industry concerns electricity. For industrial consumers, electricity costs are twice as expensive in Europe as in North America and parts of Asia, and this situation will worsen with the cumulative cost impact of energy and climate policies. The rapid implementation of the EU’s internal energy market (IEM) is not only necessary for internal competition but because it enables the overall costs of adapting the EU energy system to the new generation mix to be reduced. But by itself this cannot resolve the lack of competitiveness. In the context of rising costs, hardship regimes and exemptions from inappropriate cost allocations become an absolute necessity for those power-intensive industries in Europe that are most vulnerable to international competition. These measures must address the whole cost structure, from the power generated (easing restrictions on longterm contracts), to grid costs (the need for a cost-reflective approach taking into account baseload consumption profiles) and government’s contributions to multiple national support schemes. The major question is whether these specific measures can provide enough visibility to spark investment? To be really efficient, a globally competitive market requires a globally competitive energy mix. The issue with scaling up immature RES technologies too quickly is that the total financial support keeps on increasing while burdening consumers with huge costs; in Germany alone these already stand at €20bn a year. The EU energy system now needs reforms that focus on the elimination of market distorting elements such as the over-subsidising of renewable energy and the lack of balancing responsibility for intermittent energy generation by solar and wind power. Capacity mechanisms should be considered only as a last resort, and only after promoting cheaper demand-side solutions. Provided the conditions are designed adequately, energy-intensive industries can, on a voluntary basis, provide important and cost-efficient flexibility. Energy and industrial policies must be linked. With European governments recognising industrial growth as the key to resolving the economic crisis as well as lowering global carbon emissions, adequate measures are needed to back the reindustrialisation of Europe. Energy is one of the main levers for this, and it’s essential that discussion of European priorities should focus on high energy prices. Completing the internal energy market is one of the elements, but it is not enough. Structural political initiatives that target global competitiveness are urgently needed. 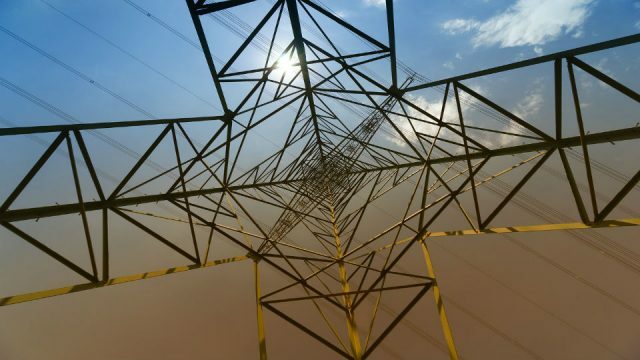 This article first appeared in the discussion paper EU’s Internal Energy Market: Tough Decisions and a Daunting Agenda published by Friends of Europe on 4 June 2013. We are grateful for their permission to reprint it here. It is the second article in a short series we are republishing from the same collection over the coming weeks. 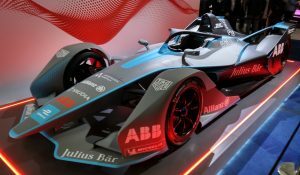 The first one appeared on 24 June and was written by Jorge Vasconcelos, founder of the Council of European Energy Regulators and Member of the Energy Roadmap 2050 ad hoc Advisory Group.